It's been quite a busy month for me but since I finally got some time to spare right now, I might as well write a new entry to this blog right? 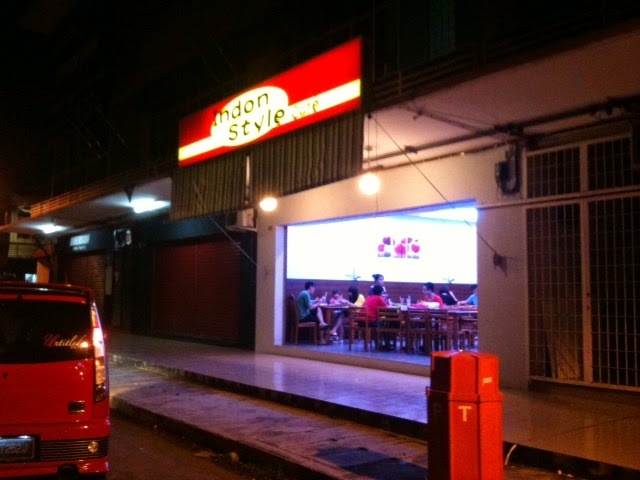 So here I present to you Indon Style Cafe. Situated at the ever popular hang out spot in Tawau as of late, that is the Perdana Jaya commercial area (right next to Dimension Auto Accessories shop), this is yet another cafe dedicated in giving Tawaurians Indonesian based food. And despite the differences in their names, this is actually another branch of the very well-known Indo Cafe chains in Tawau. And since this is the chain to Indo Cafe, don't be surprise if you see that the menu is almost identical to their other branches (well, it is a chain is it not?). 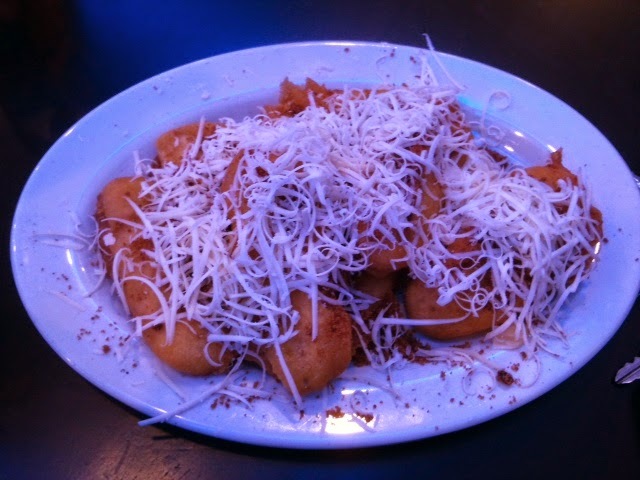 So when me and my parents were there, we decided to ordered their in-famous Pisang Goreng Cheese (Fried Fritters with Cheese). Others might follow their suit but Indo Cafe can held their head up high as they should be credited as the place that practically introduced the comfort food (including the Mango Sago as well) to all Tawaurians. 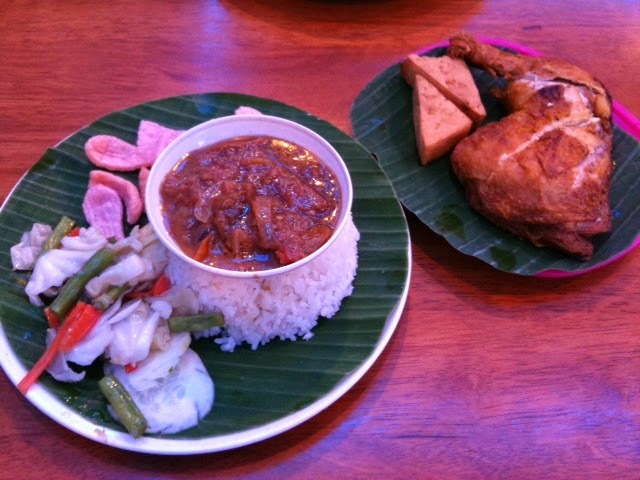 Other than that, we also had their Nasi Ayam Penyet (good but I've had better), Nasi Ikan Penyet (also tasty, but seriously there's something weird about their sambal - it's more like a kuah then a sambal) and last but not least mom's favorite Mixed Vegetable Rice (mom said that it's acceptable). Now this place puzzles me. 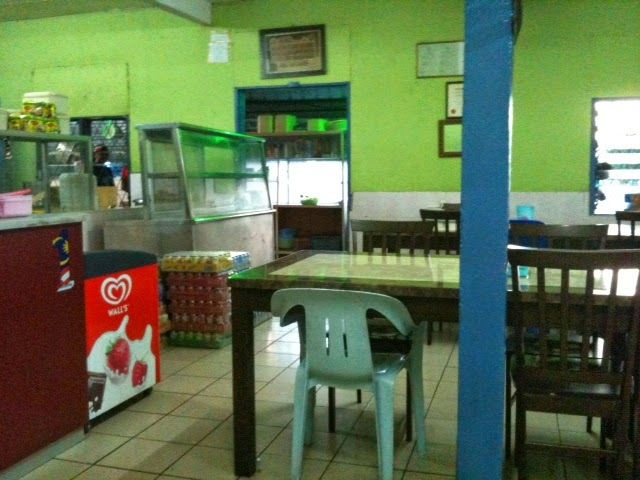 One, the place is called Arabian Fried Chicken Restaurant but the owner is actually Indian in ethnicity. Two, the menu doesn't even reflect anything from Arabia, more accurately it is from Indian in origin. And three, why called it a fried chicken place (which conjured to the mind places such as KFC) when there's very limited choices of said food being sold at the premises? Indeed there are mysteries that are really baffling me up until now. But it doesn't stop me from trying out their food, out of curiosity. It's not that hard to find the place, since it is situated at a single row of a new commercial building sandwiched between Belmont Marco Polo Hotel and MB Hotel. Now on to their actual Indian food. Me and my partner at first decided to order their Nasi Briani Ayam and Nasi Majboos Ayam respectively but then my partner got himself thinking that we must also sample their so-called 'fried chicken' dish so he ordered one of their Fried Chicken set. Now to be honest, their Indian food are pretty good and I'm a fan of their Nasi Majboos (which is similar to the Briani but with slightly different gravy and spices). I do recommend their Indian menus if you are a fan of such dishes. But their fried chicken is a totally different thing. It's so obvious that they're copying the more well-established KFC but the taste is no where near the original thing. In fact, it was so far from it that my partner didn't even finished the meal. And that's saying something for a self proclaimed 'fried chicken fanatic' such as himself. In this newly introduced segment of Local Food Trends (LFT) I'll be focusing on a particular food item (that is 'trending' among Tawaurians) instead of a place. With that said, I recently noticed that the 'burger bakar' business has seen an increase of popularity as of late. Among those is this particular stall called Burger Bakar HS that has been operating for almost 2 years now (pretty recent in my standards). Before this, they don't really have a permanent sit-down place so they sold their burgers by the roadside near Taman Ria 6, Jalan Utara. But thankfully they finally manage to find a place in town, so it'll be easier for us to find them. 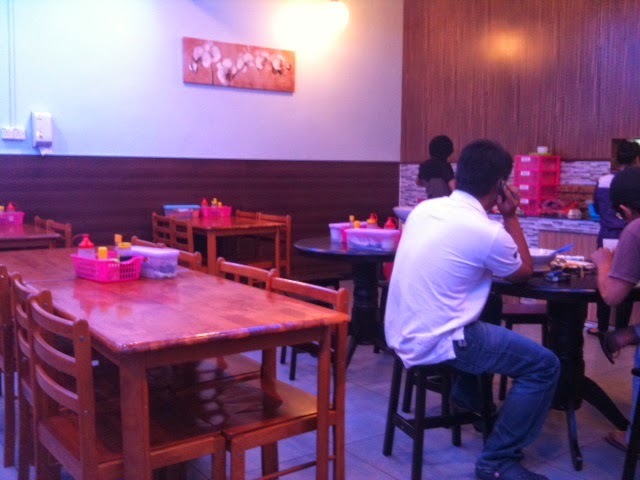 They're currently stationed at Lover Kopitiam cafe (see previous post), right in front of LA Hotel Tawau. Now the grilled burgers (yes, their burgers are grilled) might be quite limited in terms of choices, but the taste is definitely superior than other burgers in town. In fact, they're probably the only grilled burgers stall that is left standing (after a few not so successful attempts by other sellers). Choices currently in their roster are Chicken Grilled Burger and Beef Grilled Burger. But you can have it as a single patty burger (which will cost you RM5.00), double patties (RM9.00 if I'm not mistaken) and if you dare, triple patties (RM12.00). The prices might be consider by some as a bit expensive (by Tawaurian's standards) but I can assure you that you'll get your money's worth, as the size of the burger are pretty big and the tastes are lovely. Oh and it's good to note that if you're a patron of Burger Bakar HS in Bukit Bendera (aka Signal Hill), Kota Kinabalu than you'll find the similarities in their burgers since the owners are related (brothers to be exact). Finally I got some spare time to write a new post, after weeks of headache induce workload. Hey, the holidays are over so right back to work we go! Sigh... So after some thought, I've decided to post this long delayed favorite of mine. Here I present to you... Bibiq Corner! God knows that if only the place is centrally located, I've probably frequent the place more often. 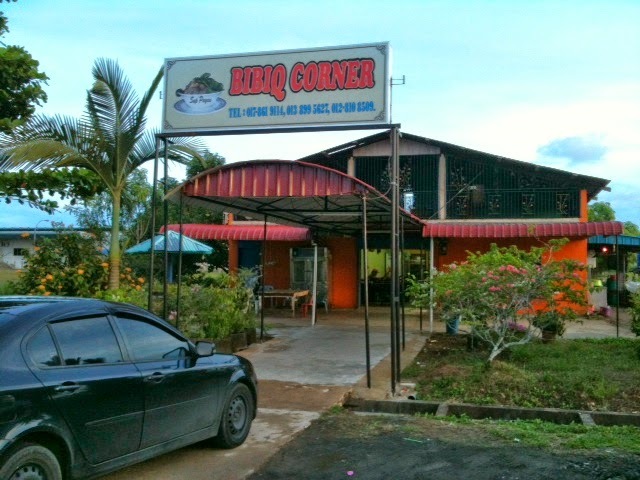 But alas, it is located quite far away from the main Tawau town, more specifically, right beside the Tawau Airport. 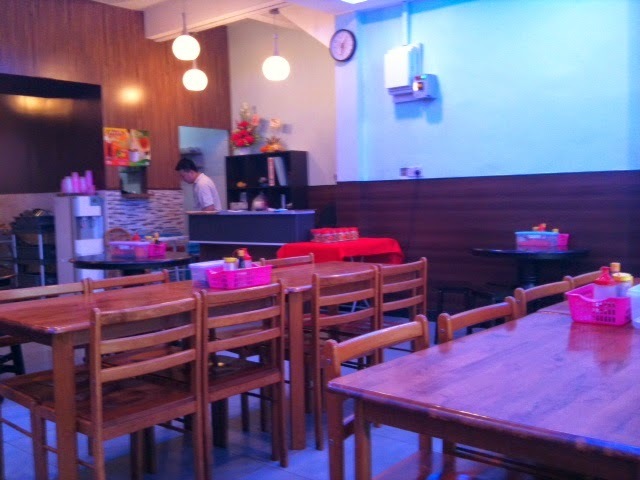 If you are interested, you just drive (around 30 minutes from town, north along the Jalan Apas road) to the airport and if you spy yourself a place nearby that resembles a house more than a cafe from the outside, then you have arrived! Trust your instinct guys, cause it is a house (upper floor) & a cafe (ground floor) under one roof. Guessing by the name, I can verify that yes... it is a Javanese establishment. I have frequent the place throughout the years and I've seen it evolved from a humble, shabby looking shop to a more clean cut, comfortable eatery. 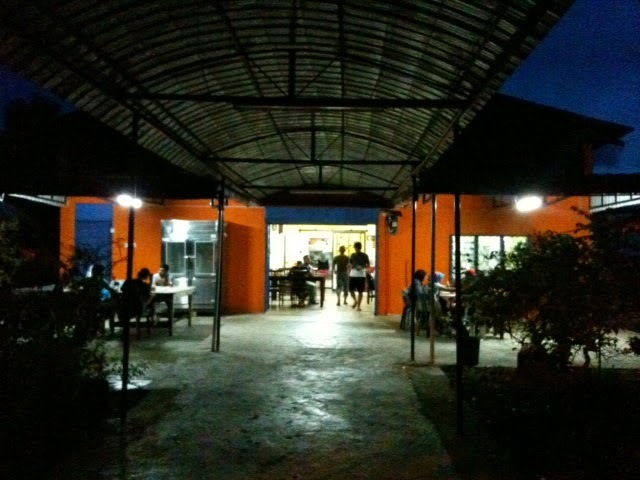 But one thing's for sure, the quality of their food is still consistent. 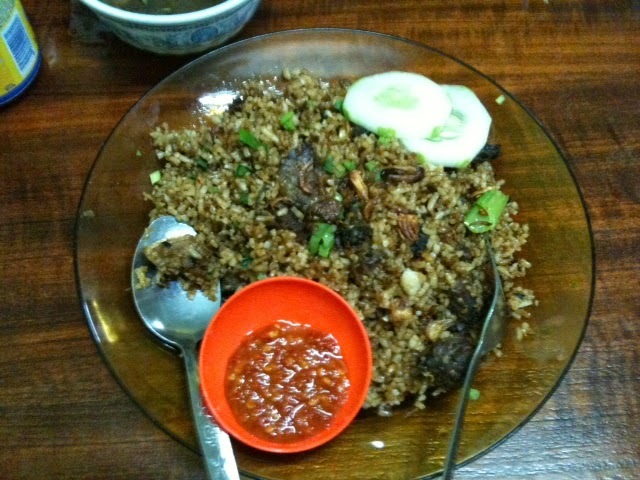 Their specialties are Payau based dishes (aka the Sabahan version of deer); most important of them all are their Nasi Goreng Payau (which are marvelous by the way, as seen below), Nasi Kuning (which are usually a morning staple) and Sup Payau (which they're out of when we were recently there). But don't fret if you're not really a fan of beef, as the usual cafe type menus are also available, as well as an assorted side dishes for you to choose from. 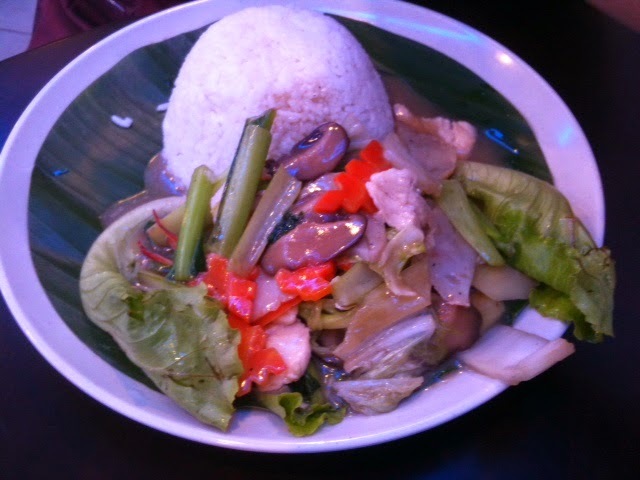 It is also good to note that the place is a better choice for food in the airport area, since the food sold at the airport itself are not really up to par and sometimes the charges are pretty darn expensive.